Maroone: A "flurry of discussions"
AutoNation's 226 stores include these, its most recent purchases. • March 2011: Fort Myers Toyota in Fort Myers, Fla. The recession pushed dealership buyers and sellers far apart on price, stifling deals. 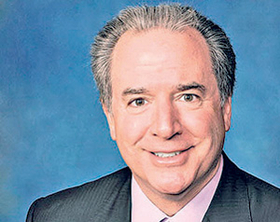 But now AutoNation Inc., the nation's largest auto retailer, finds itself in a "flurry of discussions" on store acquisitions, said COO Michael Maroone. "There are opportunities out there, and there are chances that [acquisitions] could go at a better pace," Maroone told Automotive News. "When I look at our pipeline of deals -- and I'm not making a prediction of what's going to happen in the third or fourth quarters -- but the number of discussions we're having is certainly much higher than it was two years ago." Maroone's use of the word "flurry" suggests a steady flow of deals ahead. The company's acquisition team is in serious talks with five to 10 sellers at any one time, he said. AutoNation already has picked up its purchase pace dramatically in the last eight months, making some of the industry's biggest deals of the last decade. In December, it bought six dealerships in Texas that generate $575 million in annual revenue, though it later sold one of the stores. It was AutoNation's first acquisition since early 2011. So far in 2013 AutoNation has purchased Honda and Hyun-dai stores in Phoenix and a Toyota store in Dallas with combined annual revenues of $250 million. With those acquisitions, AutoNation currently has 226 stores. AutoNation had $864 million in cash and available credit at the end of the second quarter to tap for acquisitions and other uses such as share buybacks.